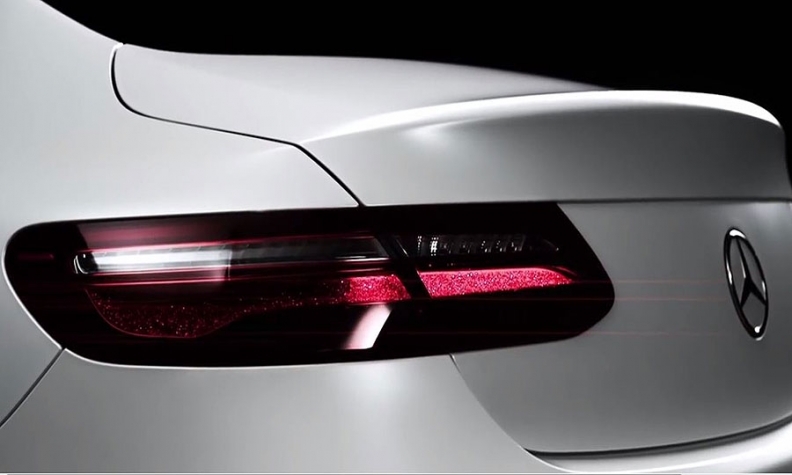 Mercedes-Benz has released a teaser video of its soon-to-be unveiled E-class coupe. The 21-second clip, which focuses on the car’s headlights, dash and taillights, says the car will first appear on Wednesday, Dec. 14. Though this is the first time the interior has been shown, spy photographers spotted a lightly camouflaged E-class coupe in October. 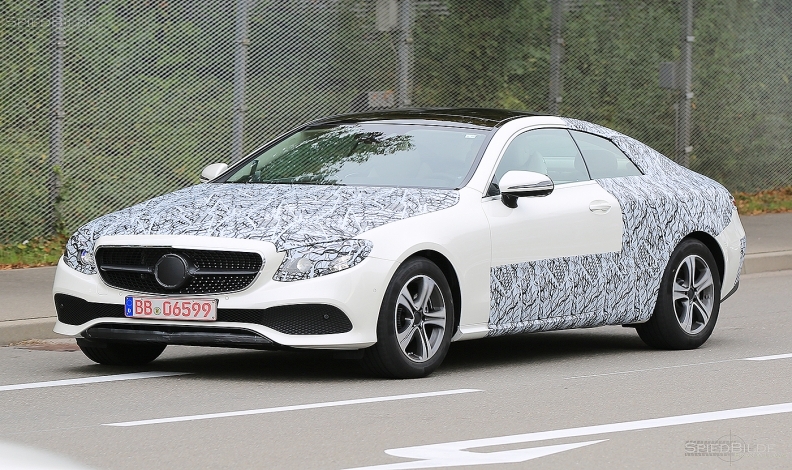 Spy photographers spotted a lightly camouflaged E-class coupe in October. The coupe is expected in the United States by late summer of 2017, following the high-tech E-class sedan, which went on sale in late June, and wagon variant, which is expected by early 2017. There's no word yet on Canadian availability. Like the sedan, the coupe will move to the new Modular Rear-wheel-drive Architecture and grow in size and interior space, for a roomier feel. The coupe is expected to drop its base V-6 engine for the same four-cylinder engine now in the entry E-class sedan. Performance models with higher-output engines are likely later. The 2018 E-class coupe is expected to be unveiled at the Detroit auto show.